Here are a couple of quick, cheap and cheerful ideas to keep your little ones (and big ones!) busy on Erev Sukkot! Take your icing sugar and mix with a little water to make “glue”. 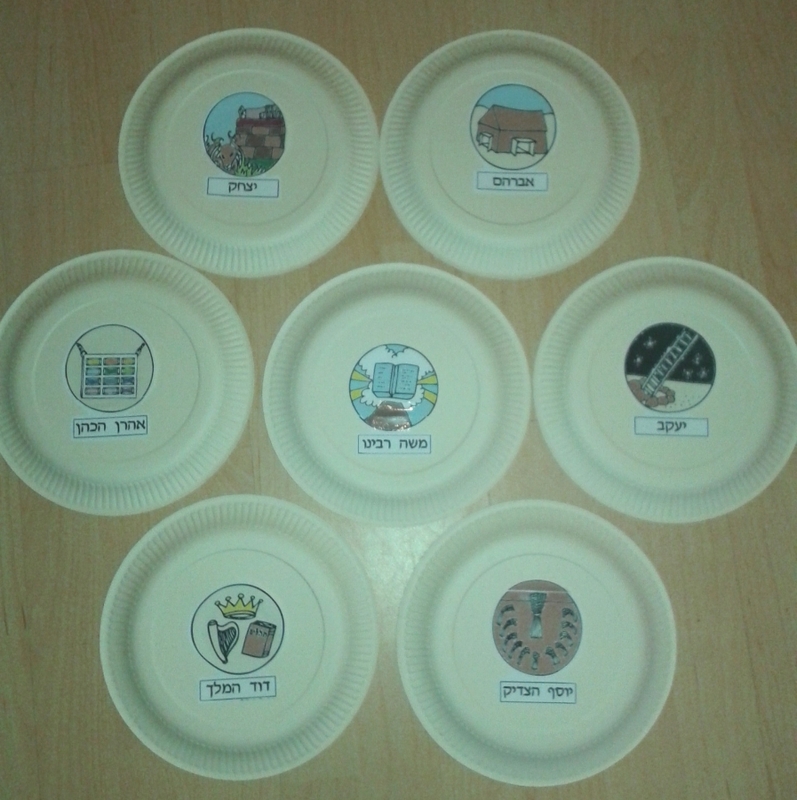 Dip the bottom of each wafer into the glue and stick on to the plate/board in a ח shape (3x43x3). Next, take your pretzels and place across wafers to make “beams”. Lie the sour sticks, “greenery” across the “beams” to create the Schach effect. Side tip: If desired, create inner props with marzipan….or lego for those on a diet! Wait till Sukkot, then eat and enjoy! Any craft supplies you have lying around e.g. glitter, pom poms etc. Colour/decorate Ushpizin pictures. You can enlarge images to make the size you desire – or make your own. Cut out and stick it on individual plates. Decorate the plate. Hang them in the Sukkah in any arrangement you like! Please excuse the lack of decoration on the plate but this is the general idea. 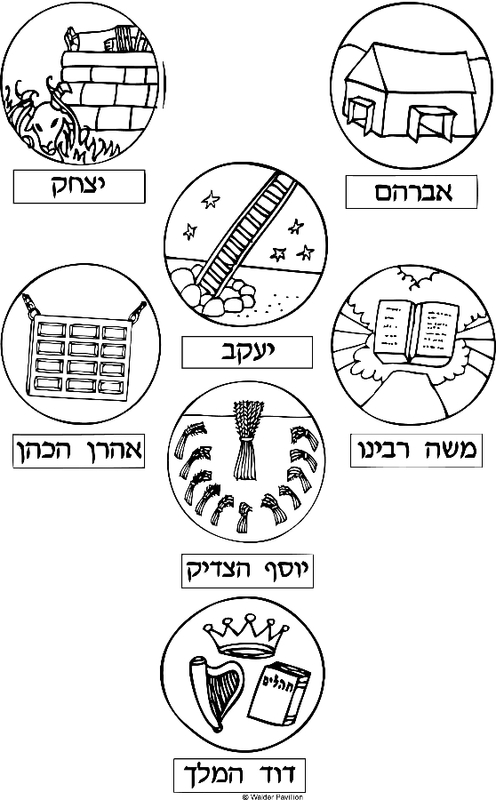 Special thanks to Chinuch.org for this Ushpizin template. Here are two other ideas from Kveller! This one is a healthy version of my Wafer Sukkah. 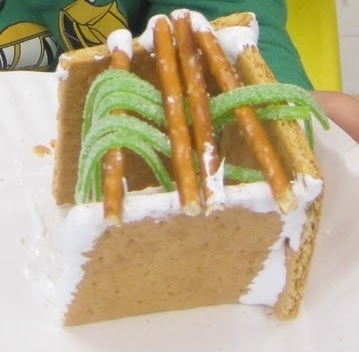 It is also an edible Sukkah craft, made with crackers and veggies! And this one (also an inexpensive paper craft) is another Sukkah decoration idea. Also known as “paper links”. I would love to see some pictures of your completed creations, so feel free to post it and share your ideas on this thread. There are some other creative suggestions there. Wishing you all a happy holiday!